City planners in Columbus, OH had some thinking to do in June when their city won the U.S. Department of Transportation’s Smart City Challenge. The Challenge gave Columbus $40 million to invest in transit. Where would that grant money go? 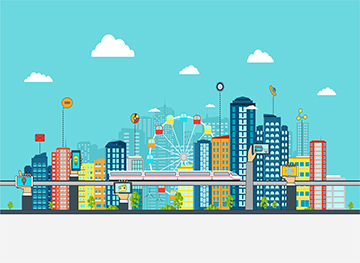 What Role Will Mass Transit Play in the Smart Cities of Tomorrow? Will Tomorrow’s Smart Cities Have Subways, Buses and Light Rail? About the only certainty seems to be that a century from now, people will still need to move in and around urban centers. As cities grow smarter, the question to be answered is, how? If you’d like to learn more about the future of smart cities, don’t miss our upcoming Microgrids Convergence Conference in San Mateo, CA on October 25-26. Now in its ninth year, this Summit will explore the intersection between microgrids, smart cities and advanced transportation.